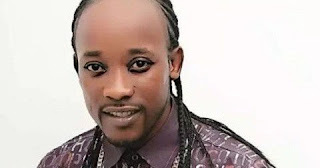 Ghanaian musician Kwame Anokye, who is now known as Anokye Supremo risks losing his sight totally if a tumor that is fast developing in his head is not treated immediately. Anokye, who was formally known as Daddy Lumba Jnr because he sings and looks like popular highlife musician Daddy Lumba (DL), has been indoors due to the severe pains of the tumor. “It all started as a migraine in October this year until I was diagnosed with a tumor in my head,” said Anokye in an interview with host Power 97.9 FM’s Entertainment show, Agyemang Prempeh (Agyemang Nie). He disclosed that some series of tests have been ran on him since the tumor was detected, adding that if he has financial support, a surgery can save him. “My left eye can’t see anything. It is almost coming out of its socket…For about 3 weeks now, I have been indoors,” he added. “Mr Agyemang I’m suffering. I’m in pains..I was given some pain killers but they don’t work for long” the ‘Fa me twa’ composer said. Anokye cannot tell if his ailment has a spiritual connotation or not. He does he know if what is destroying his sight is a benign or malignant tumor. “This is bigger than me,” he said amidst tears as he appealed for GHS 1,800 to undergo a last scan which will determine his future. Many Ghanaians know Anokye Supremo as DL Junior because of how he sings. He has not cashed in on music ever since he started performing songs of his ‘lookalike’, Charles Kwadwo Fosu also known as Daddy Lumba. Daddy Lumba (L) and his lookalike, Kwame Anokye(R). Anokye survives on cutting and styling men’s hair. As a barber, he is able to sing almost all the songs of Daddy Lumba and one would believe it was Daddy Lumba singing. However, his musical career and dreams may be stymied by Daddy Lumba. In February this year, Lumba sued Anokye for impersonating him. He said since 2010, Anokye has been imitating him for commercial purposes without his consent. In fact, Anokye has been seen at night clubs and other social functions in Accra and Kumasi performing songs of the veteran musician. Anokye is alleged to have told many Ghanaians that Lumba was his father. He has said in many interviews the late mother of Lumba once took him to her house in Kumasi and he became like a family member of the Fosu’s. Daddy Lumba, who has debunked those claims, say they are not related and has, therefore, prayed the Accra High Court to prevent Anokye who he describes as his impersonator from using his name under no circumstance. The suit is the reason Anokye stopped using the name Daddy Lumba Junior.